I’ve just noticed that I’ve reached 100 followers …yippee!!!!! So glad you like to come and visit me and catch up with what’s happening in my neck of the woods!!! Thank you so much for sticking with me since I began…..blogging has brought me so many wonderful friends, some I’ve had the pleasure to meet, some I’m meeting soon (hi Marilyn…*wave*) and the rest I’d love to meet ……real soon if I could! So, for all of my followers, and any new ones, leave a comment at the end of this post and I’ll have Mr Random Number Generator help me choose a winner at 3pm on Sunday 10th July , my time (AEST)…you can check what time that is at your place here. I don’t know quite what I have as a prize yet, but I’m sure if you’ve been following me, you’ll love what I organise!!!! Wow that's a great number of followers, congratulations. It's a great blog to folllow. I follow also, and yes I agree you are nice. congratulations on 100 followers - here's to lots lots more and lots lots more posts as well! Thanks for a chance, Wendy. It's a pleasure to follow your blog. Congratulations on reaching 100 followers. One day I hope to have that many. I was your 100th follower! I am so excited to have found your blog. Please visit me when you find the time. I am new to this and only have two followers right now but thrilled to have found so many talented friends. Thanks for all of your inspirational thoughts and ideas. Well done and congrats! You have a lovely blog and started around the same time I did, but I haven't got anywhere near 100 followers lol. Probably because I'm very slack about posting. Anyway enjoy!! It's been a pleasure to visit your blog. Congratulation. Well done with 100 followers. No wonder, it is always interesting und in spirering to visit your blog. Looking forward for the next many posts here. Hello, I have been introduced to your blog by Diane H. You now have 101 followers. Congratulations. Congratulations Wendy on your 100 followers. Thats fantastic. It's lovely to be a part of your blogging journey. Congrats! 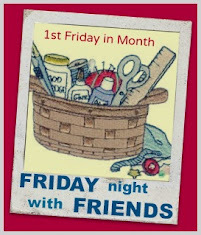 It is lovely the 'friendships' that are developed via our blogs! I have followed you for a long time now on my Google reader but never became a follower. Congrats on the 100 followers. How exciting to reach 100 followers. Always love visiting your blog. Congrats my friend and I sure wish I could meet each of my blogging buddies face to face. You know I am a follower! Congrats on your first 100 Wendy!!! I expect to see that number grow! So happy for your FIRST 100!!! And I rather like your stitching & quilting style. Congrats. Congratulations, I've had to cut back a lot, but I still have you on my list. congratulations on 100 followers, wow that is a lot. I don't think I am a follower I have got you on my google reader so I will have to add you as a follower. Congratulations. :) I am a follower too now, although I was also looking at your blog regularly even before that. I would like to sign up for this beautiful giveaway. Thanks. Congratulations - my blog only has 24 readers so far. Would love to win your give-away. Congratulations with passing 100 followers. Your set is gorgeous. I would love to win that. I put myself as a follower to you as well. Just became a follower but I've been reading your bog for a while now,congratulations on reaching 100 followers very exciting for you :) Barb.